Junior Fabian Roensdorf competes during the Aztecs 4-3 loss to Northern Arizona on Feb. 10 at the Aztec Tennis Center. Junior men’s tennis player Fabian Roensdorf threw his racket to the adjacent court after he dropped the third set of his match on Sunday morning against Northern Arizona University. Roensdorf’s 5-7, 7-6, 0-6 defeat ended up being the deciding match point, and sent SDSU to a 4-3 loss against NAU on a chilly morning at the Aztec Tennis Center. Now needing to rally, sophomore Jan Kirchhoff came back after losing his first set (6-7, 6-3, 6-2) to make the score 2-3, giving the Aztecs hope. It was up to the Aztecs’ stars to finish off the match. On court two, Gjoels-Andersen appeared to be in an intense match, as he and his opponent were arguing calls and screaming for points. Eventually, Gjoels-Andersen finished the game off (7-5, 5-7, 6-1) and tied the score at 3-3. The fate of the match laid on Roensdorf, and all eyes were on court one, but Roensdorf couldn’t find his magic in the third set as NAU came away with the victory. The loss puts SDSU’s season record at 2-3, and was the second loss in three days for the team after they lost to No. 23 Alabama on Friday. 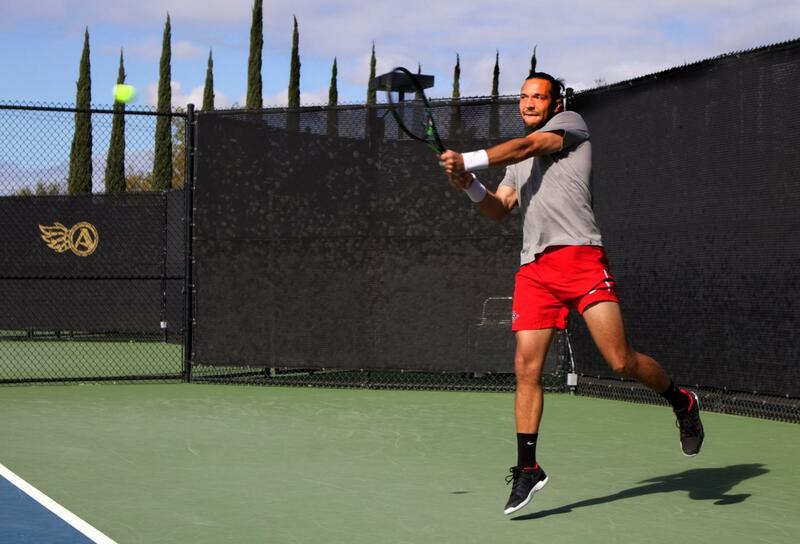 The Aztecs next match is on Feb. 17 at home against University of San Francisco.